Within the past few years, there has been a significant trend in Spain towards establishing château- and estate-style wineries a la Bordeaux, where all or most of the grapes come from the property surrounding the winery. In Spain, these properties are known as pagos, which are basically agricultural estates based on single-owner vineyard plots in close, often contiguous proximity to one another. In La Rioja, the well-known Contino and Remelluri estates were established in the 1970s, but the modern godfather of this concept in Spain was Jean León, a Spanish expatriate who emigrated to the United States, worked in a number of restaurants frequented by movie stars and politicos, and with legendary actor James Dean founded La Scala restaurant, a popular Los Angeles hangout for movie stars. Jean León came to America, began as a dishwasher in New York and went to work for Frank Sinatra at the singer’s Villa Capri restaurant in Hollywood. He served in the US military during the Korean War, became a naturalized American citizen, and with just $3500 opened La Scala and eventually saw five American presidents and an untold number of movie stars dine there. In the early 1960s, Jean León used some of the profits from the lucrative La Scala to buy a 370-acre estate near Torrelavit in the highlands of the Catalan wine-growing area of Penedés west of Barcelona. He smuggled cabernet sauvignon vines that he had obtained from Châteaux Lafite-Rothschild, cabernet franc from La Lagune, and chardonnay from Burgundy’s exceptional Corton Charlemagne vineyards (and some pinot noir), ripped up the existing xarel-lo, parellada and macabeu vines (Catalan white grape varieties) ~ much to the surprise of local vine growers, who called him “a crazy American” ~ and planted these foreign varieties on 60 hectares of his land. In 1969, Jean León released his first wine, a Cabernet Sauvignon Gran Reserva, almost all of which was sold in his La Scala restaurant or given as gifts to his celebrity friends. 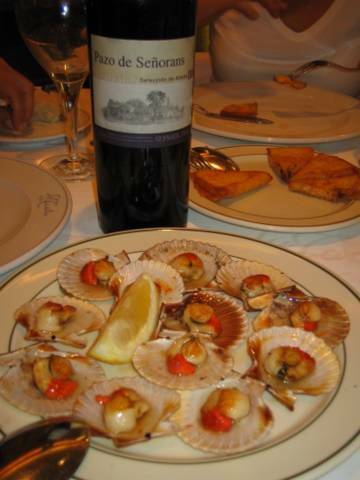 It was the first cabernet sauvignon varietal wine made commercially in Spain. 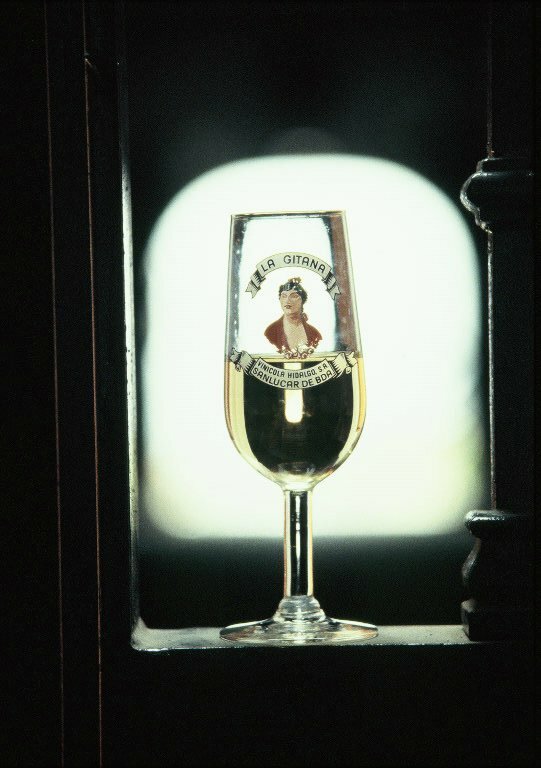 In the 1970s, Jean León’s wine, though an anomaly since virtually no Spanish wineries were selling varietal wines, became an underground wine legend. His cabernet sauvignon and cabernet franc-laced blends established a level of quality for those varietals that was unknown in Spain at the time. Inspired by Jean León’s bold venture, Miguel Torres Riera, then the young French-trained heir to the Bodegas Torres winemaking mantle, soon procured foreign varieties and planted them on his family’s nearby properties. Within a decade his Mas la Plana Black Label Gran Reservas (which eventually were made from 100% cabernet sauvignon) had gained international recognition, even topping the eminent Château Latour in a blind tasting held in Paris. 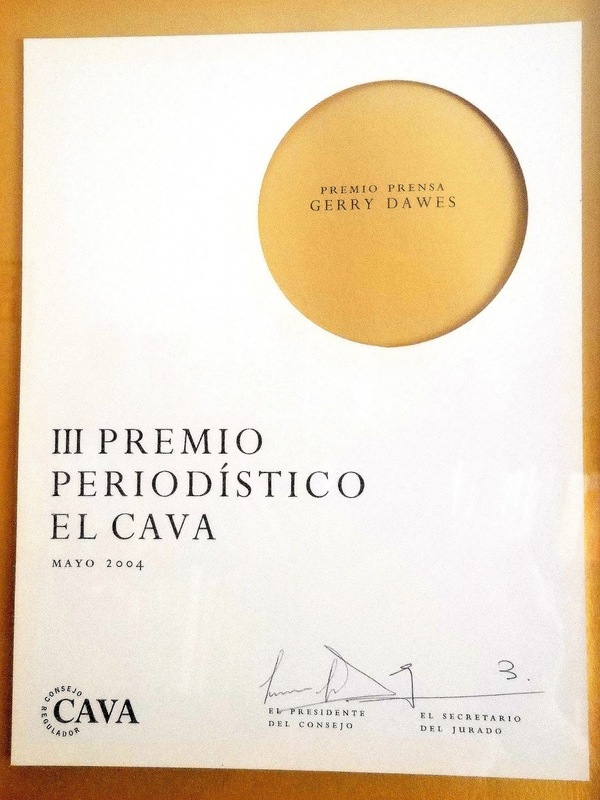 If Jean León first showed how successful Bordeaux and Burgundy varieties could be in Cataluña, Torres became the leading edge of a wave of cabernet sauvignon, merlot, and chardonnay that washed over the Penedés and in the 1980s spilled over into several emerging wine regions of Spain such as Navarra, Ribera del Duero, Somontano, and Priorato. 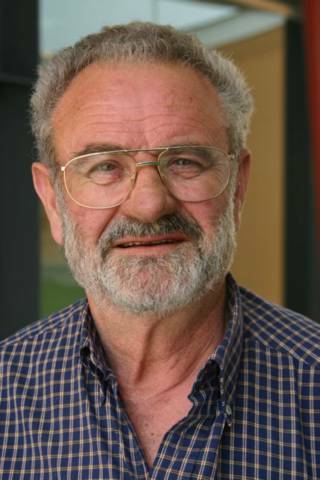 Jaume Rovira, who has been the winemaker at Jean León since the bodega was founded in 1964. Jean León became ill in his sixties and sold his winery and estate to the firm of Miguel Torres. 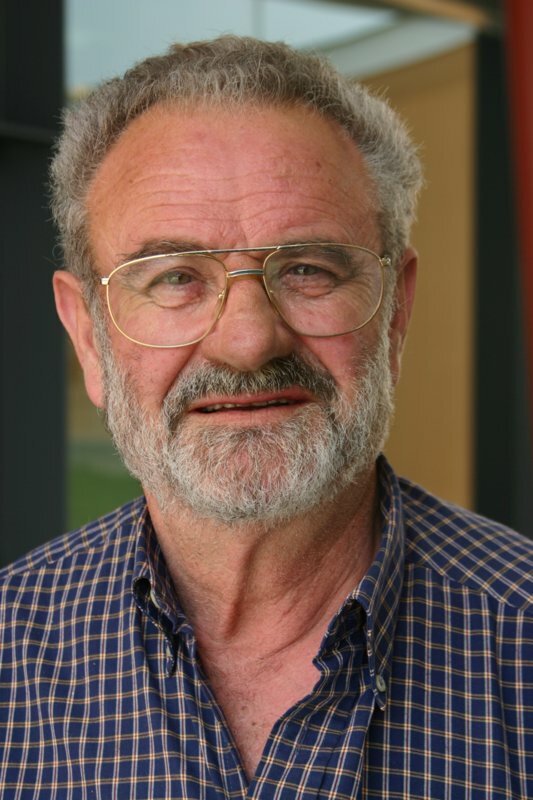 Torres was his friend and the man most responsible for making Jean León’s dream of producing great wines from French grape varieties a huge success in Spain. The wines of the Jean León estate are still made by the original enologist, Jaume Rovira, but the direction and sales of the wines are now in the hands of Miguel Torres Riera’s son, Miguel Torres Maczassek (known as Miguel Torres, Jr.). 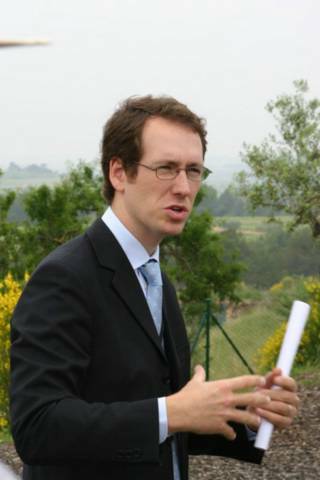 Miguel Torres Maczassek, Managing Director of Jean León and son of Miguel Torres Riera, Bodegas Miguel Torres, long one of Spain's most important wineries. 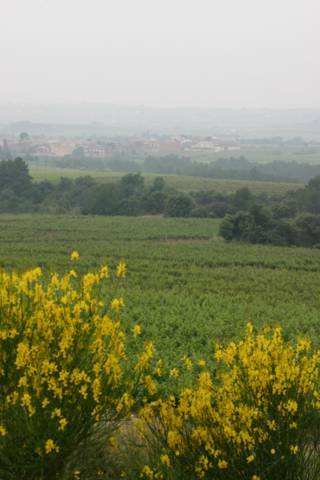 This writer has long admired the red wines of Jean León and, in recent years, especially a young, fresh, barely-oaked chardonnay (it spends less than two months in oak, just the right touch). 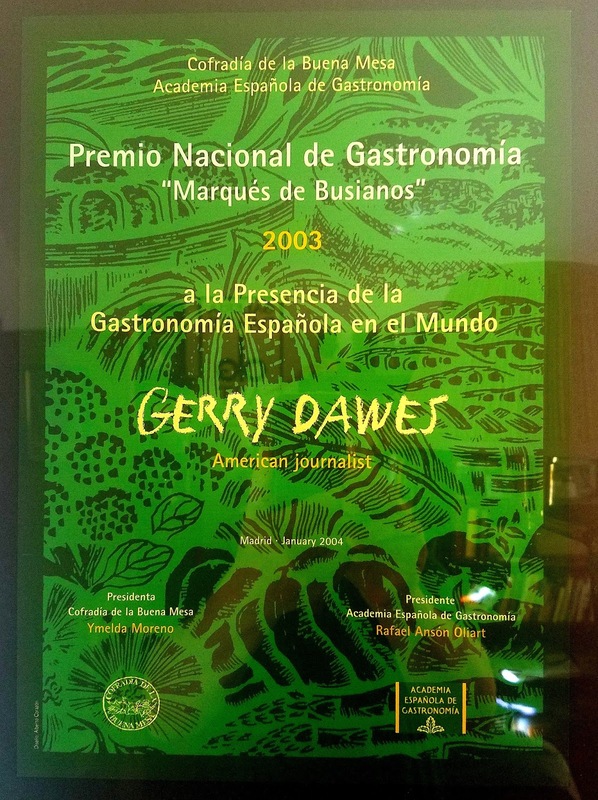 In mid-September 2001, with Chef Mark Miller of Santa Fe’s Coyote Cafe, I joined Miguel Torres Jr. at the superb Catalan restaurant Ca l’Isidre in Barcelona for an excellent dinner. We began with that wonderful Jean León white wine, which is sold under the charming name of Petite Chardonnay. With the rest of the meal we drank the wines of Bodegas Miguel Torres, including the supernal, Burgundy-esque Milmanda Chardonnay 1999, the top-of-line Mas la Plana Cabernet Sauvignon 1995, and the multi-faceted Grans Muralles 1997, a new Torres wine from Conca de Barbarà that is a blend of several different recuperated Catalan varieties. 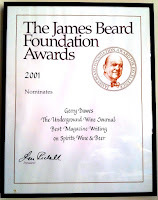 Just over a year later, in November 2002, I met Miguel Torres, Jr., Juan-Ramón Pujol, his American marketing manager, and the representative from Five Star (Jean León’s New York distributor), at Chef Terrance Brennan’s Picholine, one of New York City’s top restaurants. We enjoyed a tasting dinner in the private wine room featuring just the wines produced by Jean León. The dishes, personally prepared by Picholine’s chef de cuisine David Cox, were spectacular and the wines kept pace. 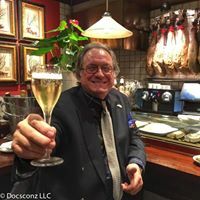 Picholine’s Wine Director Richard Shipman first served us a sample of the fine, fragrant, stylish, boutique Cava (sparkling wine), María Casanova, which, though not made by Jean León or Torres, was from Cataluña and a perfect aperitif to prepare our palates for the tasting. After the Cava, we were served the spicy, floral Terrasola 2001, a delicious chardonnay (85%) and garnacha blanca (15%) blend. 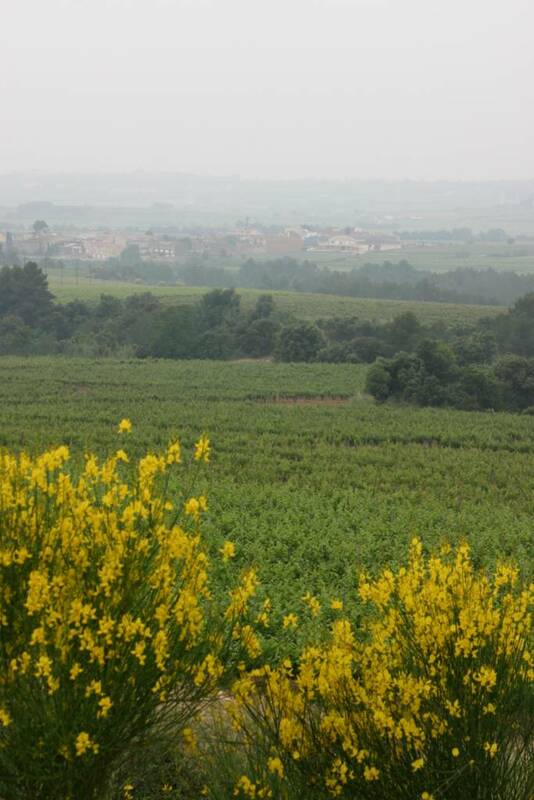 Terrasola in Catalan means “small terrace,” the terraced vineyards on which vines were traditionally grown in Cataluña. There are two other wines in the very fine Terrasola line, all of which pair a native variety with a local grape: a rich, peppery syrah-cariñena blend and a muscat-parellada blend. OVER DINNER AND IN A SUBSEQUENT INTERVIEW, Torres, Jr. and I talked about the Jean León estate, in which he has a significant personal investment, both financially and professionally. WFSN: Could you tell me a few things about the Jean León bodega, vineyards, and wines? MT, Jr.: Yes, I think that we have something very good, which are some of the oldest vines of cabernet sauvignon, cabernet franc and merlot in the region. The cabernet is already 39 years old, and the soil does not provide many nutrients, so the vines are stressed and are producing the best quality for us. WFSN: What changes have you implemented? 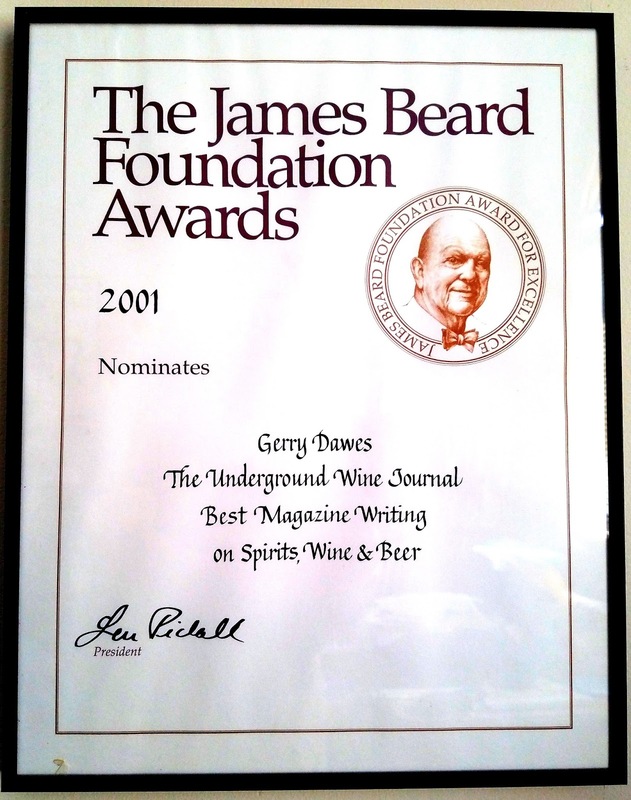 MT, Jr.: Since 1994 we have done a lot of work in the winery. We first started by acquiring new oak barrels, both French and American, and reorganizing the installations. During 2000, 2001 and 2002 we made the biggest improvements. We decreased even more the production, lowering it to 4,500 kg per hectare (just over 2 tons per acre) and less for the Cabernet Sauvignon Gran Reserva. I did not want irrigation because I believe that we have to show what the vines can give us naturally. The second thing I did was to invest in a new temperature-con-trolled room, so that we can perfectly control the fermentation of our barrel-fermented chardonnay. It also helps a lot to cool down all grapes before crushing them in the press. The third thing was to maintain the oak barrels even more carefully, I liked some good American oak for the reserva, but I liked French oak better for the longer-lived gran reserva, so now I use only new French small-grain oak barrels for the gran reserva and the chardonnay. Also for the reservas and the gran reservas, I thought that they were sometimes not expressing the primary aromas clearly since they were aged for up to two years in new oak. We decided that only for the first year would they be aged in new oak and then we would put them in 4- or 5-year old barrels the second year so that they would not absorb too much oak flavor. MT, Jr.: Yes, I wanted the cellars to be cooler at Jean León! So, now with new equipment we can regulate the temperature not only during the fermentation, but also in the cellar and even in the grape pick up area, which is also very important. And on November 9th we started operations in a new visitor’s center at Jean León, located in the heart of the vineyards with a breathtaking view of the Penedés region. So now Jean León is open to all the wine lovers who want to visit us. AS ONE MIGHT EXPECT FROM THE PRICE DIFFERENTIAL, the Jean León estate wines were the stars of the evening at Picholine. There was the spicy, rich, buttery, very classy Jean León Chardonnay 2000 made from grapes grown at Viña Gigi, a 40-acre chardonnay vineyard, which is the oldest chardonnay vineyard in Spain. The Jean León Merlot 1999, a 100% merlot varietal, was a deep blackberry-colored wine with rich, spicy, fruity merlot flavors and a long tannic finish that showed it would benefit from more aging. Jean León’s merlot vines, now ten years old, were a late addition to the estate. Jean León Cabernet Sauvignon 1996, a blend of 85% cabernet sauvignon and 15% cabernet franc, was a clean, clear medium blackberry color, had a nice mint and cedar nose, showed lovely, rich blackberry and chocolate flavors on the palate and had a long spicy, well-stuctured finish. The nicely structured Jean León Cabernet Sauvignon Reserva 1995 (same blend), a serious black raspberry-colored wine with a minty, eucalyptus nose, chocolate, ripe fruit flavors and earthy hints of cabernet franc, spent 2 years in oak and like a good Bordeaux, will benefit from cellaring. The exceptional Jean León Cabernet Sauvignon Gran Reserva 1994 is basically the same grape blend as the reservas, but it all comes from specially selected lots made from the oldest vines grown on the estate’s La Scala vineyard. This dark, plummy, blackberry colored wine has a deep, ripe nose and luscious, delicious, complex flavors and firm structure that puts it on the level with many great Bordeaux châteaux wines. We finished our meal at Picholine with a selection of superb Spanish cheeses and a selection of older cabernet sauvignon wines from Jean León, including the still vital, but mellow 1985; the still-closed, Bordeaux-esque 1979; and the excellent minty, complex 1975. During the heyday of La Scala restaurant in Beverly Hills, Jean León became known as “the wine of the stars.” Now, some thirty years later, the wines of Jean León are showing their own star potential. 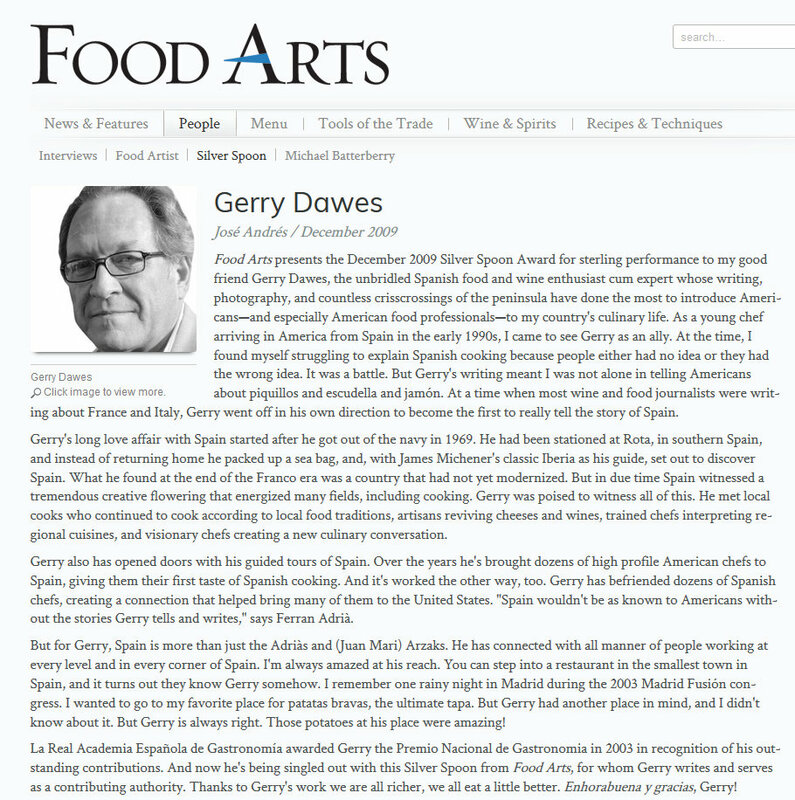 Gerry Dawes has been writing about Spanish wine, food and culture for more than 25 years. Rías Baixas Wines On a ten-day tasting trip last spring through six wine growing regions of northwestern Spain, I got a crash course in just how promising Spanish native varietals can be in the Atlantic Ocean- influenced climates of Galicia (Rías Baixas, Ribeira Sacra and Valdeorras) and Castilla-León (Bierzo, Toro and Rueda). In this post I will cover Rías Baixa. In subsequent posts, I cover the others. 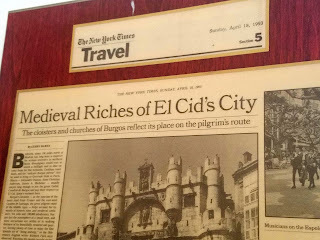 First, I flew from Madrid to Santiago de Compostela, the monumental destination city at the end of the Camino de Santiago, the medieval pilgrimage route that runs from France down into the Iberian Peninsula and then more than 600 miles across northern Spain. From Santiago, I began my visit to emerald-green Galicia's Rías Baixas, where I tasted some 50 wines, including some superb 100% Albariños. Pazo de Señorans, Fillaboa, Do Ferreiro, Lagar Pedregales, Palacio de Fefiñanes, Lusco, and Pazo de Barrantes, not only reinforced my belief in the excellence of this white native varietal, it alerted me to aspects of albariño's versatility and ageworthiness of which I was unaware. From my tastings of barrel fermented Rías Baixas white wines, I re-confirmed my belief that new oak does not significantly enhance these fresh, fruity wines; in fact, it often obscures their fruit and charm. Most wineries are experimenting with barrel-fermented (a current fad) Albariños, but hardly any of them were better than the bodega's un-oaked Albariño. I also discovered that two notable producers, Pazo de Señorans and Palacio de Fefiñanes, were making Albariños that see no new oak and are eminently ageworthy. Pazo de Señorans produced a stunning 1996 Albariño aged on the lees in stainless steel for three years, which is undoubtedly the greatest Rías Baixas wine I have tasted. Palacio de Fefiñanes showed a superb vertical lineup (from 2001 through 1996) of Albariños aged in large used oak vats. Another surprise was a luscious, sweet, complex, vendimia tardia (late harvest) Albariño made as an experiment at Pazo de Barrantes. 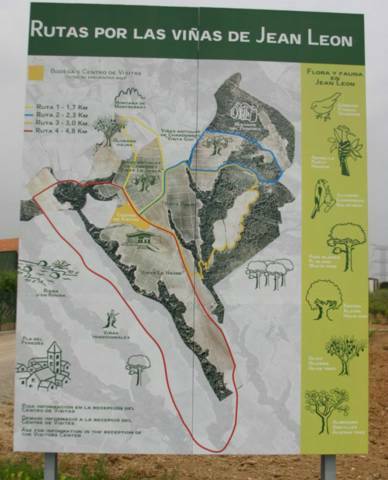 The Rías Baixas denominación de origen is composed of five subzones: Val do Salnés, Soutomaior, O Rosal, Condado de Tea, and Ribeira do Ulla, the newest of the designated wine growing areas. Surrounded on three sides by the Atlantic Ocean, the Ría de Arousa and the Ría de Pontevedra, the area known as Val do Salnés, with more than 60% of Rías Baixas's registered vineyards, is the most important of the five, followed by Condado de Tea and O Rosal, both along the Miño river. Because of Galicia's high rainfall and humidity, vines are trained on tall wire trellises, which are usually anchored by granite or concrete posts. The grapes are grown several feet off the ground to allow for maximum air circulation, which promotes even ripening and helps prevent rot and associated vine and grape afflictions. To use the Albariño varietal designation on a label, in all five Rías Baixas subzones a wine must be 100% albariño. Since 94% of just over 5900 acres of registered vineyards in the Rías Baixas DO are albariño, this is often a moot point. 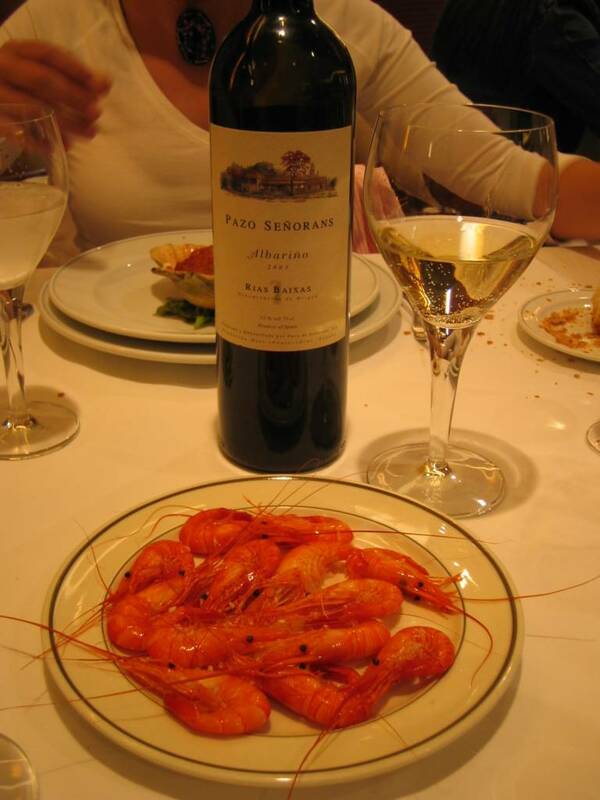 By law, other white Rías Baixas-designated wines of must contain a minimum of 70% Albariño. 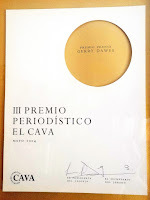 The remaining 30% of the blend is usually composed of one or more of the other authorized, preferred grape varieties - - treixadura, loureira, and caiño blanco (some godello, torrontés, and marqués grapes are also authorized) - - which add different aromas, body, and often more complexity to the wines. Although Albariños are among the world's finest single-varietal white wines, the Rías Baixas blends often match them in quality. In tasting albariño-treixadura blends such as Adegas Galegas's Veigadares, Valmiñor's Dávila, Marqués de Vizhoja's Señor de Folla Verde, in the Condado de Tea subzone of Rías Baixas, along the Miño River that is the Galicia's border with Portugal, and albariño, loureiro, and treixadura blends such as Terras Gauda, Santiago Ruíz, Pazo San Mauro, and in the O Rosal subzone, I also saw significant potential in loureiro and treixadura as blending grapes which add complexity to albariño-based wines. It is not politically incorrect to call Rías Baixas wines of the most feminine in Spain, especially since the consejo regulador's president is María Soledad Bueno (the owner of Pazo de Señorans) and many top wines are made by women enologists, including Isabel Salgado (Granja Fillaboa), Cristina Mantilla (Adegas Galegas - Veigadares), Angela Martín (Castro Martín- Casal Caiero), María del Pilar Jiménez (Pazo de Barrantes), Ana Martín (Salnesur - Condes de Albarei), Ana Oliveira (Terras Guada), Ana Quintela (Pazo de Señorans), and María Luisa Freire (Santiago Ruíz). Rías Baixas Albariños and albariño-based blends are some of the most versatile, delicious, food-friendly, and least intimidating wines in the market. They usually are a lovely green-tinged straw color and their fruity albariño aromas are reminiscent of white peaches, pears, apricots or pineapple. On the palate they are fruity and often luscious, but finish dry. The fruit is usually beautifully balanced by a fine-edged underpining of acidity and the wines exhibit lovely, complex, mineral-laced flavors in the finish. These qualities make them ideal matches for a wide variety of modern and traditional dishes, as well as delicious wines for sipping as an aperitif or to accompany tapas, Spain's wide variety of little dishes. A smaller tulip-shaped glass called a catavino is used for sherry. Ideally, they should be 5-6 ounce glasses, but you should only fill them about half full (2-3 ounces of sherry), though this thristy caballero on horseback at the Feria de Sevilla has his catavino nearly full. An alternative is a tulip-shaped 6-ounce Champagne glass will do nicely. 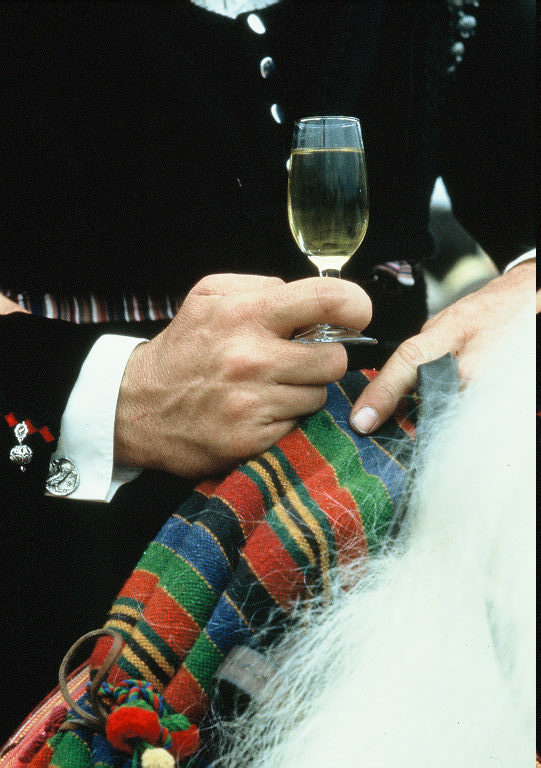 The Champagne flute should be one that curves in at the top, not one that flares out, so that you can more fully enjoy the wonderful fragrant smells of sherry.